LINTHICUM, MD, February 6, 2019— NFM Lending is pleased to honor Private Nicolas Alvarez as the NFM Salute for February 2019. Upon graduation from high school, Pvt. Alvarez enlisted in the United States Marine Corps. 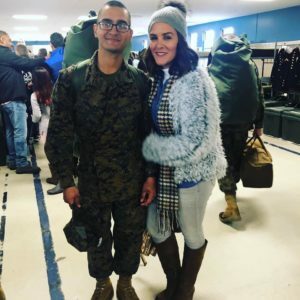 He recently graduated from boot camp at the Marine Corps Recruit Depot at Parris Island, South Carolina. Pvt. Alvarez is currently attending military training camp at Camp Geiger in Jacksonville, NC. From there, he will proceed to the Marine Corps Communication-Electronics School in Twentynine Palms, California.